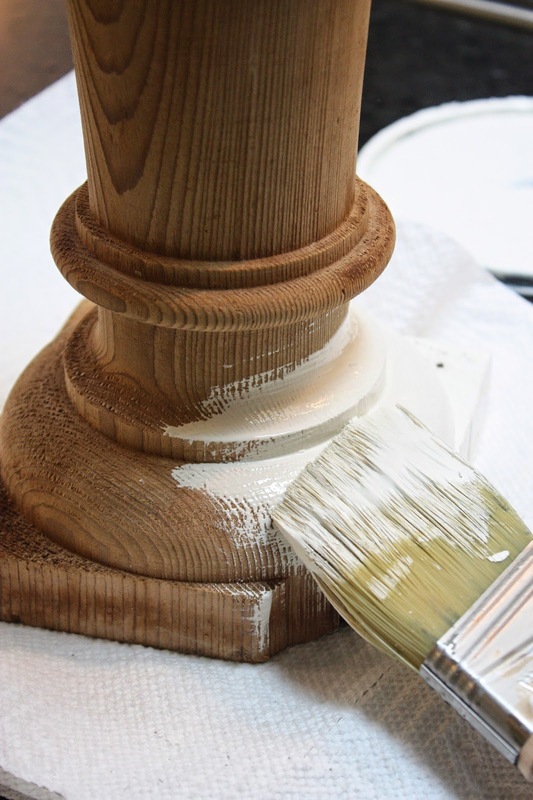 Today's thrifty Thursday project is all about re-purposing. Taking found objects and using them in a different way then originally intended. I wanted some pieces to go with this one to make a grouping, so I started looking around my house. I found this old chunky piece of wood and painted it with creamy white. The next "candleholder" I literally rescued from the trash. I don't even know what it started life out as, but I topped it with a dessert plate and added a candle~voila, I had my grouping. 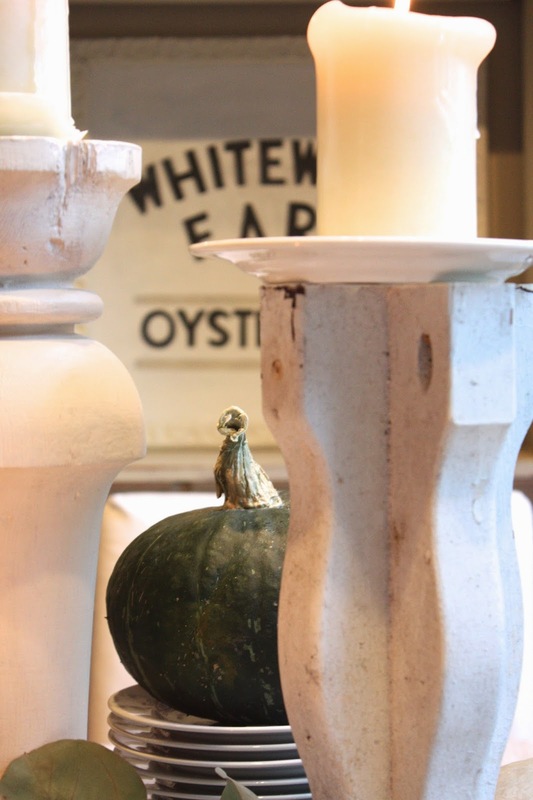 I'm really loving using neutrals for fall decor this year. It just feels really fresh. 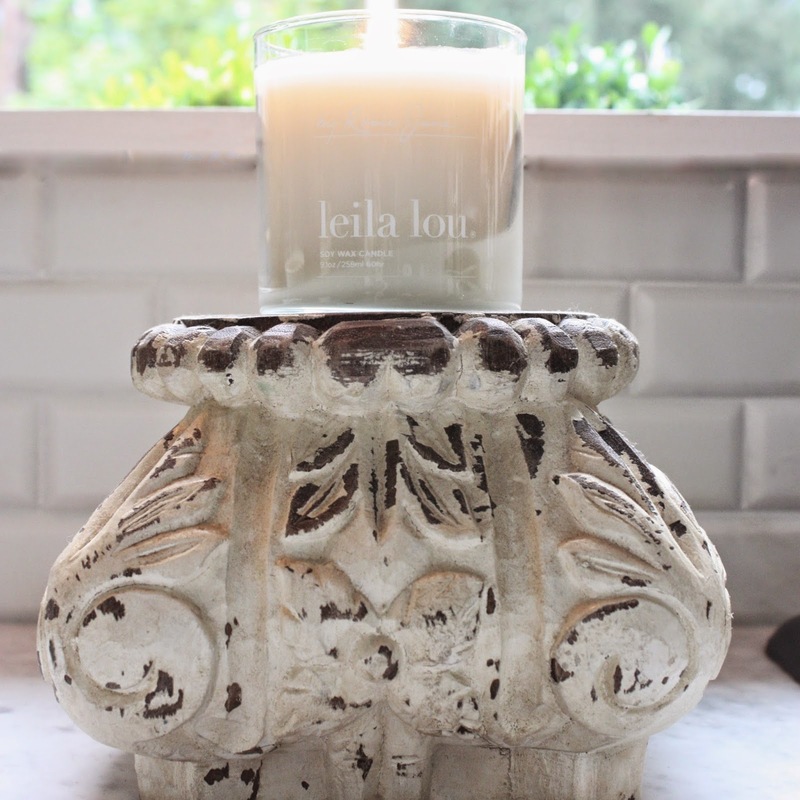 Speaking of fresh, this Leila Lou candle is ah~mazing! 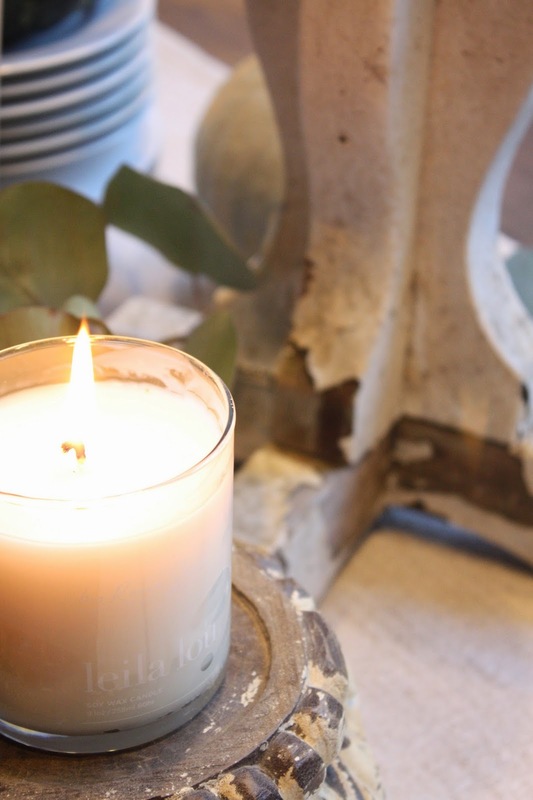 The candle holder it sits on is from here. 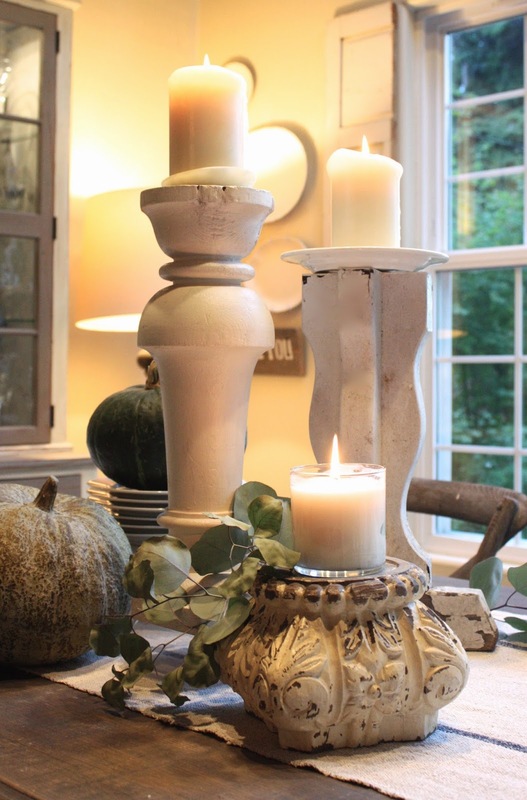 Love the rustic candle holders and all the neutral fall decor. Your table looks amazing! 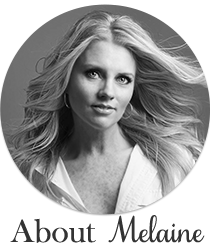 SO GORGEOUS, the neutrals for fall. 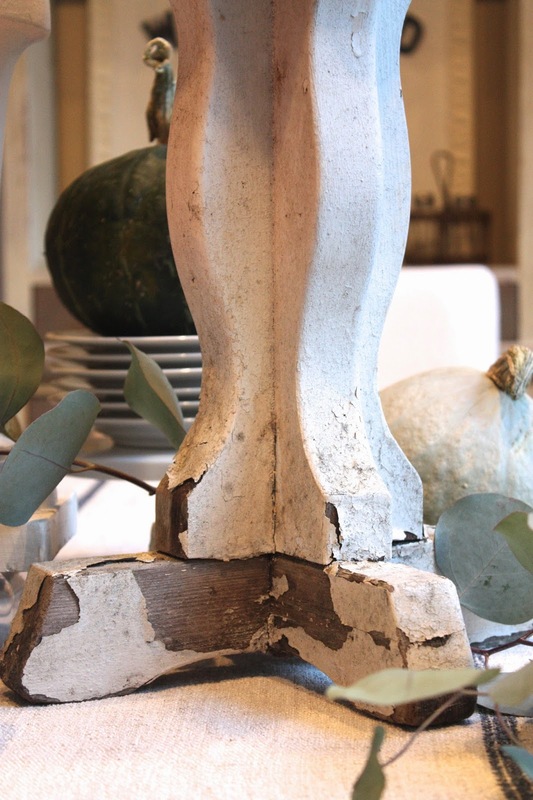 And the distressed effect on these neutrals is the crowning touch! 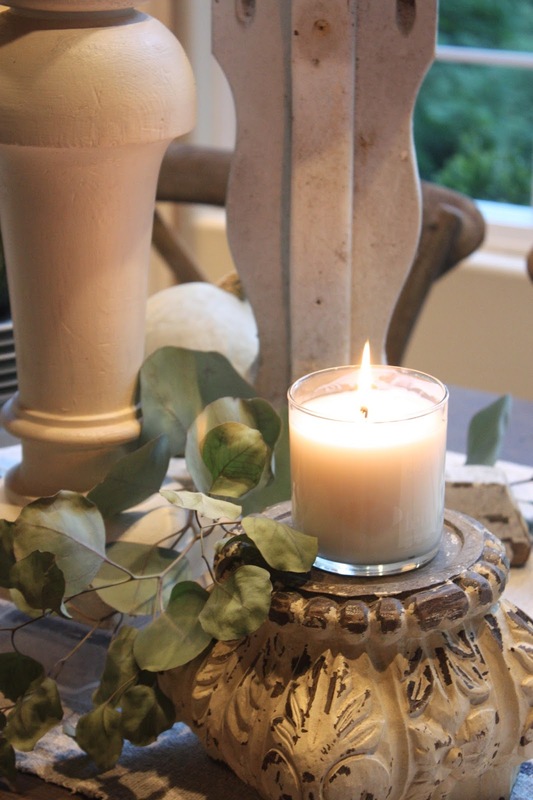 i can't find the rustic candle holder either from your link...can you give a direct link to it?